Look out, United States, the Honourable Miss Phryne (pronounced Fry-nee) Fisher is coming to America. While Miss Fisher’s Murder Mysteries may not make you immediately abdicate your allegiance to Sherlock, it is, without a doubt, worth checking out in the coming months on public television. Definitely not your parents’ Miss Marple, Phryne Fisher is a fashionably beautiful investigator with a penchant for murder cases that take her through back alleys, jazz clubs and shady neighborhoods all with a twinkle in her eye that fits right in to the risque world of 1920’s Melbourne. Phryne Fisher is equally at home solving murders with her pearl-handled Smith & Wesson as she is with a cocktail in hand, charming paramours in her full-length white silk coat. Thanks to the great folks over at Acorn Media, Tellyspotting recently caught up with Essie Davis, one of Australia’s most respected and acclaimed film, theatre and television actors, as she found a few free moments during the filming of series 2 of Miss Fisher’s Murder Mysteries. Tellyspotting: With U.S. audiences on the verge of being introduced to Miss Fisher’s Murder Mysteries, who is Phryne Fisher? Essie Davis: I guess Phryne Fisher is the female answer to James Bond, Indiana Jones or a combination of both. She’s an incredibly independent woman from the 1920’s, who was born in poverty and inherited great wealth. She’s incredibly skilled, she lives life to the fullest and is a woman who never wants to get married but loves life and loves men. She’s an advocate for women’s rights and the rights of the less privileged in the world and she’s got a knack for sleuthing and finding out ‘whodunit’. She’s both a mystery and a bit of a romp. T.S. : The series is set during a time of incredible change for women. Phryne Fisher seems to be someone that really embraced the opportunity in front of her of being more independent. Her character would seem right at home in the 21st century given her ‘adventurous’ spirit don’t you think? E.D. : I think, absolutely, that Phryne is a person that often finds herself more liberated than women are today and realizes the luxury of her independence. She knows what it is to have money, to own her own home, her own car and yet she’s not stingy with her money either. She’s quite happy to buy cars for other people. She is definitely someone who holds on to her independence. Many men would like to marry her but…she’s not the marrying kind. T.S. : Your acting background features extensive stage and screen work. Has that helped for your work in television? E.D. : Absolutely. I think certainly because the show has so much to do with language and the dexterity and fluidity of using complicated language it no doubt helps. I’ve done a lot of very complicated language on stage from Shakespeare to Tennessee Williams and Arthur Miller to Tom Stoppard. Having done that work has really helped with the dexterity that Phryne has with language and her incredible wealth of knowledge. She’s kind of like a superhero that can speak a lot of languages such as Mandarin and French while at the same time dance a tango, fly an airplane, drive a car and do the foxtrot. She’s very surprising. Every episode she’s got another skill that nobody knew. T.S. : Miss Fisher is not your traditional murder mystery in the vein of Miss Marple or Hercule Poirot. It’s irreverent and fun, but can you comment on the very dark undercurrent that runs throughout the series dealing with some very strong subject matter for the time? E.D. : There is a very dark side to the series and there is lots of heavy subjects because it’s all set in the midst of real events that are going on in 1928, in particular, abortion, women’s rights, aboriginal rights and drug smuggling. And Phryne, herself, has a dark past that she’s trying to find out what happened to her little sister. T.S. : As with many British comedy or mystery series that public television viewers in the States are familiar with, writing is considered a cut above the rest. Beyond the obvious, can you comment on the importance of good writing as the basis for any successful series? E.D. : Well, it is the most important thing, I really believe. There’s nothing worse than average writing. No matter how skilled actors are coming together to do it, it can never work and can only be ordinary. It really helped that the first series came from the novels that Kerry Greenwood wrote. She has a great knowledge of the period as well as being incredibly witty. T.S. : How important is it for you to dig a bit deeper and get a ‘beyond the surface understanding’ of a character you are playing, Phryne in particular. E.D. : Absolutely. That’s where the novels came in incredibly handy. Kerry’s written a whole history and you find out more and more in each book about Phryne’s life and the fact that she worked as an air ambulance officer in the First World War then went off and modeled in France afterwards trying to make a living. All of the books gave me a huge background to her life. Each story will have something new about her history or where she’s come from. I read a lot of the novels during the first series to make sure I knew who she was. I hadn’t read any of the books before I was cast in the role and all of that helped immensely. Because the books have a massive fan base around the world, there’s no point in playing a character one way and then finding out that she would have thought something completely different if only you’d known. T.S. : One of the most striking things about the Miss Fisher series is the level of detail that went in to the costuming to set the tone for the series. Has Phryne ever worn the same outfit twice? E.D. : (laughs) Oh, I think there are a couple of repeats, probably shoes. Marion Boyce, our costume designer, has an incredible wealth of knowledge and is a fastidious designer who would never put me in anything that is not authentic to the period. She has beautiful collections of materials, buttons, buckles and gloves all from the period as well as designing me beautiful outfits. I often walk on set and everyone’s jaw drops and I smile and go…I know. T.S. : Filming the series has to be exhausting. If you could speak to both the physical nature of the role and her ‘love of life’ adventurous nature and to what immediate challenges did playing Phryne bring for you? E.D. : The biggest challenge is that there is very little time for rehearsals. Whenever I get a moment off, I’m doing a tango lesson or learning Mandarin. I think that was one of the hardest things that I’ve ever had to do. But, I know my one sentence incredibly well. A year and a half later, I can still pull it out when needed. Certainly, all of the dancing, you’ve got two hours to learn how to flamenco and look like you’re brilliant at it. Because she’s really good at everything she does, trying to do each little part of it with great skill is very challenging. T.S. : On the oft chance you do have a free moment, what do you enjoy watching from a comedy or drama standpoint? E.D. : My favorite American dramas are The West Wing and The Sopranos. I love comedy. I love having a good laugh. I absolutely loved The West Wing because of the writing and the actors were brilliant and the politics of it all was fascinating. From a comedy standpoint, I love 30 Rock and I absolutely love Arrested Development. It’s brilliant. T.S. : While Phryne is clearly the centerpiece of the series, can you comment on the ensemble cast that has been assembled for Miss Fisher and, in general, the importance of the strength of a supporting cast in a series? E.D. : Very important. You can’t act on your own. The family of characters that the series brings together are extremely important. The overarching story is much more about this group of people who work together. 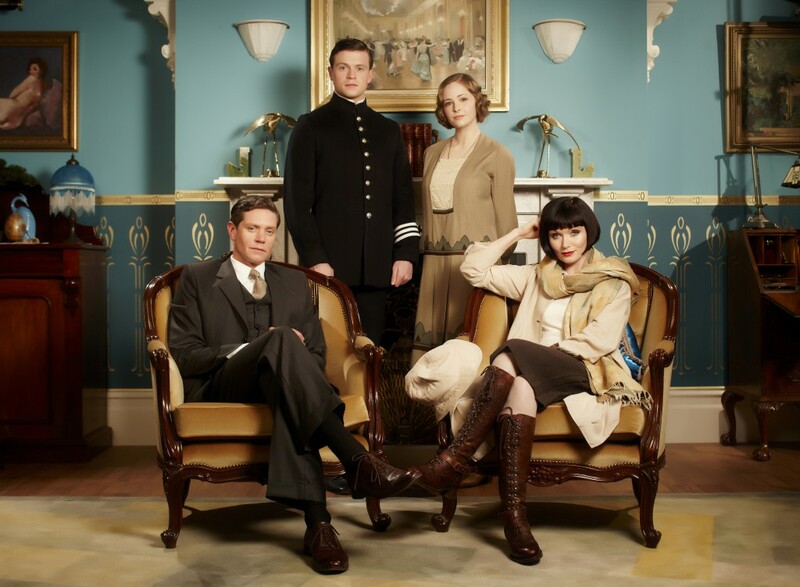 The beautiful thing that happens between Detective Inspector Jack Robinson (Nathan Page), who at first finds Phryne a thorn in his side, and is then eventually very pleased that she can help by going about solving these cases in a less than conventional police manner is a perfect example. That’s why people want to watch. I think they want to see more of what happens between the characters and not just someone dies and a murder gets solved. T.S. 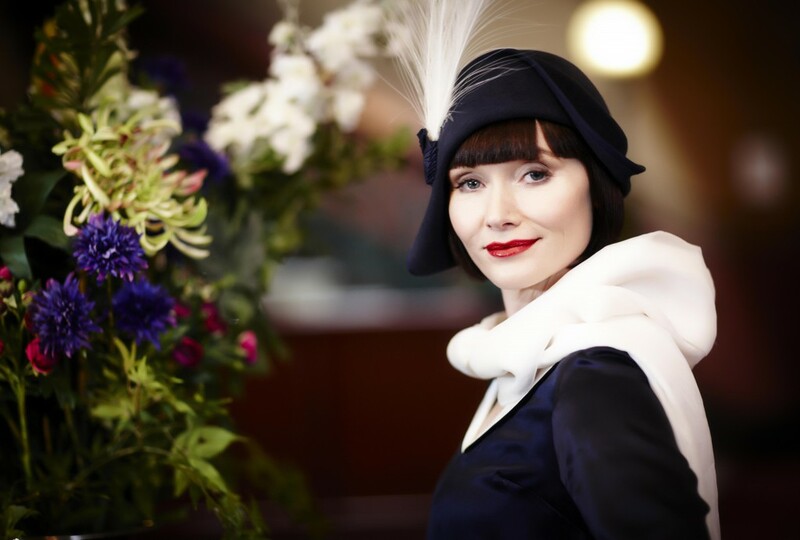 : Is there a little bit of Phryne Fisher in Essie Davis? E.D. : I think so (laughing). I think every role that an actor plays has to have some element that comes from you. I’m very lucky in that all the characters I’ve played are very different from each other. I will say, however, that there is some part of Phryne that is me. You do learn a lot about yourself from the characters you play. T.S. : For those that have never been to Australia, where would Phryne Fisher be apt to first take you to get the full Aussie experience? E.D. : Well…I would say, a speedy drive along the Great Ocean Road would be a good start. Then go to some beautiful little cocktail bar in Melbourne and maybe scale the police and justice building and take you for a rooftop and then perhaps a little fly over the countryside. T.S. : How about Essie Davis? E.D. : I would take you to some remote beaches in Tasmania and to the southwest of Tasmania mountaintops and just home for dinner. With that, my 30-minute brush with Aussie greatness ended. Oh well, I guess we’ll always have the possibility of driving along the Great Ocean Road and the remote beaches of Tasmania. 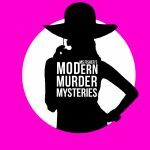 While public television viewers in the States were first introduced to the series this past April, more stations will be premiering the series over the next several months. Series 2 of Miss Fisher’s Murder Mysteries will transmit on ABC in Australia later in 2013. 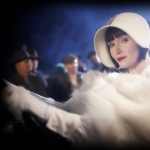 Definitely be on the lookout for Miss Fisher’s Murder Mysteries, with Phryne solving murders and leaving a trail of men floundering in her rear view mirror, on a public television station near you in the not-too-distant future. FYI, KERA TV viewers in North Texas can see series one, Saturdays at 9:00pm beginning August 24. I am so delighted to hear that there will be additional series. I already have the first season and have been hoping that there would be more. I love the entire cast – each is so identifiable – and the story lines keep me interested, and, of course, the costumes are lovely, as are the interior shots. Thank you for your work. Just finished Season 1…incredible! Cannot wait for Season 2. Essie Davis is captivating in her role as Miss Fisher. And, my hat’s off to the other actors who give such fantastic support to Essie. I started watching Miss Fisher on Net Flicks but they only have the first season. I hope I get a chance to pick up season 2. Hercule Poirot would adore Miss Phryne and Hastings wouldn’t be able to keep his hands off of her. I live in the US and subscribe to Acorn TV and there I found Miss Fisher…am completely captivated by the series and wild about her wardrobe!! Wish I could have one of her lovely cloche hats! Nothing on US TV compares to the quality of programming on Acorn…except for PBS, of course! I also found Miss Fisher on Acorn TV. I love the show and the entire cast. Acorn has all the best shows. Hoping Miss Fisher goes on for many more seasons. Utterly loved this show from first sight. While she won’t quite beat out Jeremy Brett as my favorite on screen detective, Essie Davis is impeccable as she plays the incisively intelligent, complex Miss Fisher. I hope this series manages a few more seasons, because I don’t know how I’ll handle the withdrawal otherwise. This probably one of the best shows on TV since Miami Vice. I’m looking forward to seeing Phryne back on TV in Tampa, FL. My question is when is going to happen? I keep checking the tv guide to see if its back on (PBS channel) but no luck. I’ve got to have my Phryne Fix. A new discovery for me and one I am thoroughly enjoying! Clever and warm and risqué. And, as the interview pointed out, deep beyond its surface effervescence. Should probably mention Jack & Phryne are close to killing me with their chemistry! I adore this series. 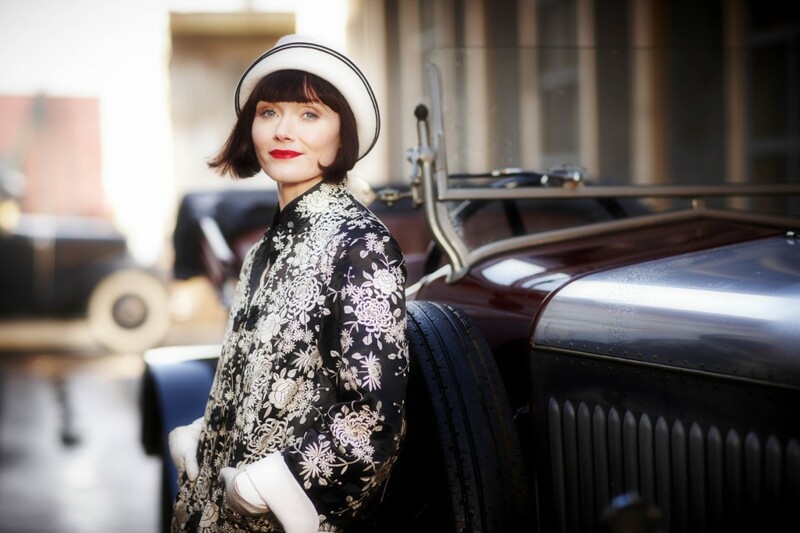 I love Miss Fisher and her clothes are just fabulous. The set details are som meticulously done…it amazes me. I watched the series on Netflix. I can totally relate to her and her outlook on life. 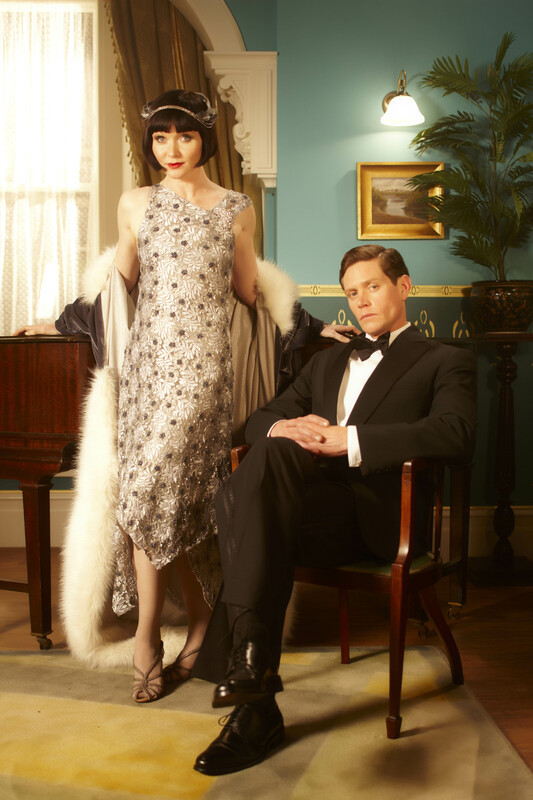 Phryne is breathtaking and Jack is gorgeous. I can’t wait for Series 3. Will the show be airing in the States? Excellent. Has been a constant pleasure catching up on the first 2 seasons and what a delight. The timing, flirtations, costumes and background all make Ms Fanny Fishers a hit. Always unexpected and nothing for granted until the very end. Sherlock would be glued to the telly just as I am. Why doesn’t Miss Fisher have an Australian accent? The Brits produce some of the best shows on television. As Vice President of Television Programming at KERA (Dallas/Ft. Worth), I have a job that affords me the opportunity to screen and evaluate much of the available British television catalogue for possible broadcast to American PBS audiences like you. And through this site, I share new programs and UK television news with you, so check back often! © 2019 North Texas Public Broadcasting, Inc.